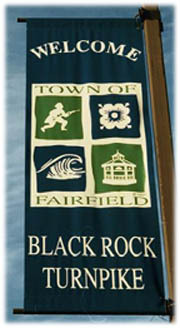 The Black Rock Turnpike shopping area is located between I-95 and the Merritt Parkway on Route 58, a state highway in affluent Fairfield County. This is the largest retail shopping area in the Town of Fairfield. It offers retail shopping, banks, service businesses, restaurants, and office buildings. The owners, successful developers for over 40 years, have built and currently manage over 1 million square feet of regional and neighborhood strip shopping centers throughout Connecticut. The owners take an active role in property management and strive to provide a diverse tenant mix. The numerous landscaping upgrades with flower and tree planting and recent facade renovations are evident and typical of their properties.